Arizona Cave Scorpion Pseudouroctonus sp. This Scorpion was found in a small cave in Southern Arizona. The species is as yet undescribed, but it is in the genus Pseudouroctonus. Cave Scorpions are very rare. 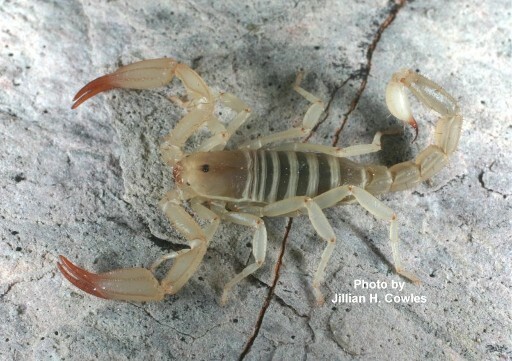 Thanks to Jillian H. Cowles and Bill Savery this Arizona Cave Scorpion photo is available for you to see. This Arizona Cave Scorpion site copyright Rich Ayrey 2009-2017. This Arizona Cave Scorpion page created 02/10/09.